I been traveling a lot recently. At least for me. When I’m in a new place for any length of time, I ask, “Could I live here?” Last month I visited Vancouver. I thought, what a great place to live, and indeed Vancouver is perennially on the list of most livable cities, but at a cost. Housing prices are high. I am reminded of Dorothy’s famous line from “The Wizard of Oz”: “There’s no place like home.” Flying into O’Hare International Airport, with my first glimpse of the Chicago skyline, I think to myself – home! No matter if I’m coming from the East Coast, the South, the West Coast, or overseas, the plane always makes the same final approach from the east, heading west over Bryn Mawr to O’Hare. The landmarks along the final descent are landmarks in my life. First, the white marble of the Bahai Temple in Wilmette. I remember a decadent autumn afternoon in my salad days drinking champagne with friends in the temple’s shadow. I can see friends’ homes in Rogers Park, and as we head west, the miniature golf course at Devon and Lincoln where I used to play in my teenage years. Queen of All Saints Basilica, near Devon and Cicero, comes into view. My parents were married there in 1957 (in the basement chapel – the church wasn’t completed yet). One of my sisters had her wedding reception at the Hyatt Regency O’Hare. But it’s not all nostalgia. It is great to see the number of cranes dotting the skyline, signaling new construction projects. Now back home, I am looking forward to all that Chicago has to offer in November. Bella Voce’s new season begins November 3 with the debut of Bella Voce Sinfonia, November 3 and 4. Photo by Bella Voce. Vocal ensemble Bella Voce’s new season begins with the debut of their new period instrument orchestra, Bella Voce Sinfonia. They’ll perform J. S. Bach’s Mass in B-Minor at St. James Cathedral in Chicago on November 3, and at St. Luke’s Episcopal Church in Evanston on November 4. Filmed and set in Chicago, the thriller “Widows,” directed by Steve McQueen, is a remake of 1980s British TV drama and opens November 16. It stars Viola Davis, Liam Neeson, Colin Farrell, and Robert Duvall. The 35th annual Chicago International Children’s Film Festival, November 1-9. “Widows” is rated “R,” so it’s not appropriate for the chickadees, but the kids might like something at the 35th annual Chicago International Children’s Film Festival at eight venues in and around Chicago, November 1-9. Leo Lionni’s family musical “Frederick” looks like a lot of fun. It’s at the Chicago Children’s Theatre, through November 16. I’d like to get a ticket to the world premiere of playwright Ike Holter’s “Rightynd,” the latest addition to his cycle of plays inspired by Chicago neighborhoods, at Victory Gardens, November 9-December 23. Ate9 Dance Company performs at the “Made in Chicago” 312 Dance Series, November 16. Photo by Cheryl Mann. The “Made in Chicago” 312 Dance Series opens with performances by three local dance companies: Ate9 Dance Company, Visceral Dance Chicago and Deeply Rooted Dance Theater, at the Auditorium Theatre, November 16. 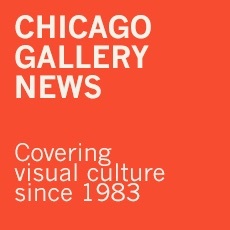 The 11th annual 3Arts Awards takes place at the Museum of Contemporary Art Chicago, November 5. Photo by 3Arts. A great way to become familiar with homegrown artists is to attend the 11th annual 3Arts Awards celebration, November 5 at the Museum of Contemporary Art Chicago. The Chicago-based 3Arts organization awards ten Chicagoland artists with $25,000 and ten with $1,000. The exhibition “West by Midwest” focuses on artists with ties to the Midwest, November 17-January 27, Museum of Contemporary Art Chicago. Another artist is celebrated at the Hyde Park Art Center with “Deborah Boardman: Painter, &,” November 11-February 24. Boardman mostly worked in Chicago for over thirty years before she passed away in 2015. The Hyde Park Art Center was one of the first venues for the Chicago Imagists in 1966, including Robert Lostutter. Corbett vs. Dempsey gallery is showing his work, November 2-December 22. The Jean Goldman Book Prize will be presented at SAIC’s Literary Lions reception November 29 at the SAIC’s LeRoy Neiman Center. It was a privilege to know Jean Goldman. Among many other things, she sponsored the Jean Goldman Book Prize given to a member of the School of the Art Institute’s (SAIC) faculty. The sixth SAIC’s Literary Lions reception featuring the Jean Goldman Book Prize is November 29 at the SAIC’s LeRoy Neiman Center. To reserve call 312-499-4190 or contact saicevents@saic.edu. My must-see exhibition this month is “Painting the Floating World: Ukiyo-e Masterpieces from the Weston Collection” at the Art Institute of Chicago, November 4-January 27. If you’re wondering what Ukiyo-e painting is all about, plan to attend the annual Trapp Japanese Art Lecture Series on November 15, which will feature a lecture entitled “What Was Ukiyo-e Painting?” by Timothy Clark, head of the Japanese Section at the British Museum. The lecture is free and open to the public; registration is required. Coming soon to the ground floor of 900 North Michigan Shops, the wildly popular Doughnut Vault. Photo by Doughnut Vault. I go the Equinox gym at 900 North Michigan Avenue. The building has been going through a lot of renovations. Hogsalt Hospitality, which owns some of Chicago’s hottest restaurants, is slated to open Aster Hall Chicago, a food court with sixteen ‘vaults,’ this month on the 5th and 6th floors. The coffee shop on the ground level is gone and will be replaced by an outpost of Hogsalt’s wildly popular Doughnut Vault. Having to walk past the Doughnut Vault to and from the gym might be too much temptation for me to resist. When they’re in town, New Zealand’s Maori All Blacks rugby team works out at my gym. These guys are massive and intimidating. They’re playing against the USA Men’s Eagles during Rugby Weekend-Tripleheader at Soldier Field on November 3. The marquee match is Italy vs. Ireland. If the New Zealand Maori All Blacks could wait until the end of the month, they could fly home nonstop on Air New Zealand. Nonstop service between Chicago and Auckland begins November 30. At 8,184 miles (about 15-16 hours), it will be the longest flight operated out of O’Hare. If you’d like something more genteel than rugby, the SOFA (sculpture objects functional art and design) show is also that weekend, November 1-4, at Navy Pier. For something old school, Frankie Valli & The Four Seasons perform at the Auditorium Theatre November 3. November 3 is also the American Committee for the Weizmann Institute of Science Annual Gala at The Geraghty. Invenergy founder and CEO Michael Polsky will receive the 2018 Leadership Award. Prof. Avigdor Scherz, a Weizmann scientist, who is working on new cancer therapies, and University of Chicago President Robert Zimmer will speak. Chicago Philharmonic hosts a series of events for the Chicago Philharmonic Festival: Poland 2018, November 7-11. Photo by Chicago Philharmonic. Chicago has a sizable Polish community. There will be several events around town to commemorate the 100th anniversary of Poland regaining independence. The Chicago Philharmonic Festival: Poland 2018 includes chamber concerts at First Presbyterian Church (November 7), St. John Cantius (November 8) and the Polish Museum of America (November 9), as well as a “Celebrate Polonia” concert November 10 at the Copernicus Center. There is also a free (tickets required) concert for peace at St. Hyacinth Basilica on November 11. Chicago also has a sizable Czech community. Coinciding with the centennial of the Czech Republic’s independence, the Czech Philharmonic performs at Symphony Center on November 4. It’s the 200th anniversary of Illinois becoming the 21st state in the union. Celebrate at the Illinois Bicentennial Birthday Party on December 3 at the United Center. The Chicago Symphony Orchestra, Styx, REO Speedwagon, and Buddy Guy are slated to perform. Jane Lynch, Kate Flannery, and Tim Davis perform “A Swingin’ Little Christmas” at City Winery Chicago, November 30. A sure sign that the holidays are here: The 105th annual Christmas Tree Lighting is November 16 in Millennium Park. The BMO Harris Magnificent Mile Lights Festival is November 16 and 17, culminating with the tree-lighting parade down Michigan Avenue on the 17th. I really enjoyed actress Jane Lynch’s (“Glee”) cabaret act “See Jane Sing” with actress Kate Flannery (“The Office”), singer/producer Tim Davis, and the Tony Guerrero Quintet, on the stage of the Lyric Opera some time ago. I’m glad they will be back in Chicago just in time to get me in the mood for Christmas with “A Swingin’ Little Christmas,” November 30, City Winery Chicago. This entry was posted in About the Town on October 28, 2018 by Kay Whitfield.